Facebook Inc. (Nasdaq: FB) stock has been controversial ever since the company went public. But Money Morning Capital Wave Strategist Shah Gilani knew, even when Facebook slumped below $20 in late 2012, that the company had tremendous promise. When he failed to catch the bottom back then, Gilani vowed to pounce when the time was right. And even though Facebook stock is down about 14% since then, Gilani remains convinced that the social media company's mobile strategy will pay off down the road. 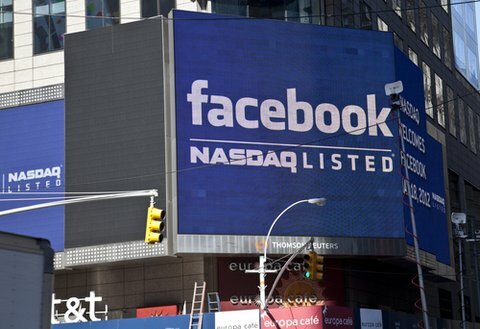 Recently, Money Morning Executive Editor William Patalon III caught up with Gilani for an update on why he is convinced Facebook stock is a buy. William Patalon III (Q): Let's talk about Facebook. Back in February, you gave us a terrific, real-time analysis of the $19 billion WhatsApp purchase. And I remember that one of your core messages there was that "Facebook is far from done" – which really ran counter to the "conventional wisdom" that the company, and CEO Mark Zuckerberg, were pretty much tapped out after taking that big bite. Shah Gilani (A): Yet here we are, just one month later, and Facebook is shelling out $2 billion for Oculus VR, a very hot virtual-reality gaming company. Facebook isn't just buying into mobile messaging – it's also going for gaming. Patalon (Q): Exactly, Shah. Zuckerberg is showing folks that he's not afraid to use Facebook's big stock price as "currency" to do deals. This time he's using $400 million in cash and about 23 million shares of stock. Facebook stock is down about 14% since we recommended it, but it's only been a little more than a month… and we've seen the tech side get slapped pretty hard during that stretch. But I have to say that every time I look at, or think about, what Facebook is doing strategically… well, I can hear your words in my head and can't help but get excited – feeling as if this is a chance to buy a really good stock at a really good price point. I mean, just look at what Zuckerberg said at the time of the Oculus deal: "Mobile is the platform of today, and now we're also getting ready for the platforms of tomorrow. Oculus has the chance to create the most social platform ever, and change the way we work, play and communicate." What do you see for Facebook stock from here, Shah?